This calendar provides a list of Pikes Peak ATD Events along with assorted webinars for talent development professionals. An outstanding opportunity for you! PPATD is proud to partner with Zach Rubin and the Professional Book Club Guru to enrich your reading experience. We'll read some, discuss some, and read more! This is a time to share your ideas, learn new things, and hear different perspectives from your peers and other professionals. The book club partners with multiple ATD Chapters and other L&D Organizations. Book topics include organizational development, business, leadership, training best practices, facilitation skills, and much more. This is a 24/7 forum so people can join from anywhere in the world. Membership to the Book Club is free and your cost for the book. 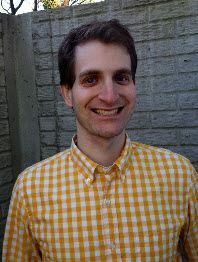 Zach Rubin is a member of the ATD Metro DC Chapter and the CEO of Professional Book Club Guru. He has been managing the ATD Metro DC Online Book Club for more than two years and is excited to expand the program to connect L&D professionals across the country. Zach is a sought-after expert in creating online book clubs for professional development programs. His company, PBC Guru, manages hundreds of online book club programs for companies, professional societies and alumni associations. Please email Zach with any questions about the program at zach@pbc.guru. Franklin Covey has studied the question of why some leaders execute with excellence while others falter at perhaps unprecedented levels. Both top-performing leaders and their average-performing counterparts have pockets of known great performance where customers are delighted, employees engaged, and economics strong. But what gets in the way? Why aren’t all leaders equal? We’ll review a 2018 study that helps organizations know how to engage and improve these leaders, and share information gained from interviews with top CLOs about the current talent development environment and how TD professionals can most effectively contribute. And you’ll hear how talent development teams in organizations are implementing programs that are successfully closing their leadership gaps. Jennifer (Jen) Huey, is a past member of PPATD, and is kind enough to share her experience. 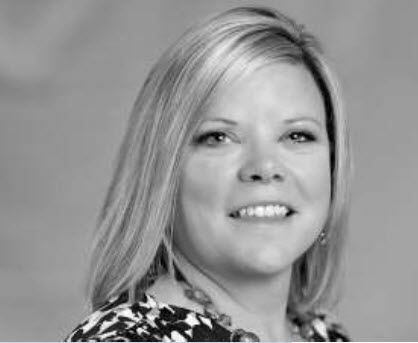 Jennifer is a Client Partner representing FranklinCovey in the Colorado and Nebraska markets. She credits FranklinCovey for creating years of effectiveness and productivity in her personal and professional life, and was thrilled to join the company that has made such a difference for her. 2008. Her work includes helping organizations get results through improved execution of strategy, increased levels of trust, and improved individual effectiveness. Among those organizations are Fortune 500 companies headquartered in Houston, Denver and Omaha, with locations throughout the world. Jennifer spends her free time raising funds for organizations like Feed My Starving Children and Legend High School Athletics, and traveling with her family. Tuesday, July 12, 2016 Are You Ready for Modern Mentoring? Tuesday, August 12, 2014 What does the shift from ASTD to ATD mean for our skill sets and career possibilities? Thursday, September 26, 2013 Is it time for your organization to embrace Social Learning? Tuesday, September 13, 2011 Smart Talk - Audrey Nelson, Ph.D.